When it comes to taking care of our overall health and well-being, we may think that we have things under control, but often do not have the knowledge we need to really make a difference. For example, it is very likely that you already know about the importance of maintaining a routine of physical exercises and eating a healthy diet. These are good areas to start improving your lifestyle, but there are still more things you can do. You may not realize it, but you must be very careful to keep your spine in good health at all times. This is because poor spinal health can do much more than merely create back pain; Bad health of the spine can end up damaging other aspects of your health and even damaging many other areas of your body. Have you heard the old phrase “you’re just as old as your spine”? This is because keeping the spine healthy and mobile is the key to health and longevity. You will be doing your well-being a favor be seeing a Neurospinologist regularly to check your spine health. To better understand the importance of spinal health and Neurospinology care, it may help to learn more about the functions of the spine and the importance in your body. The spine has two primary functions. It serves to keep the body balanced and vertical and works to protect the central nervous system. 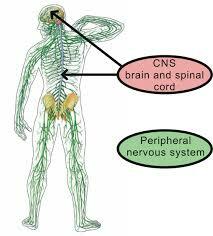 The nervous system controls and coordinates every function and structure in the body. Regardless of the levels of exercise and the quality of nutrition, if there is interference with the nervous system, the body cannot function in the best way. Understanding the need for optimal operation of the nervous system is essential for better performance and, consequently, a better life. The nervous system ultimately governs energy levels, mood swings, resistance to illness and disease, capacity to handle stressful situations, concentration and metabolic activity. An unimpeded nervous system is crucial to maintaining the balance of chemicals in the body (including hormones), which determines overall performance. 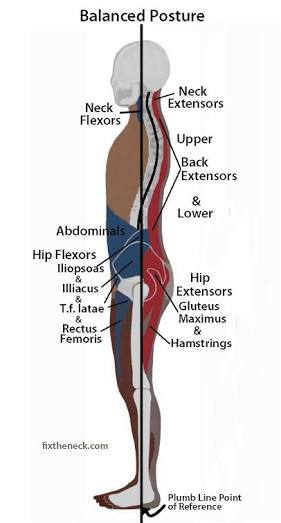 When the spine is functioning optimally, the whole body is in balance, and the central nervous system can facilitate communication between the body and the brain at an efficient rate. Unfortunately, many external factors can make the vertebrae of the spine loose its relationship and become bad. Injuries, accidents, tension, and overwork of muscles can lead to loss of relationship in the vertebrae of the spine. Research has shown that we have an 80 percent chance of experiencing back pain at some point in our lives. You may not even realize that your spinal column has lost relationship, but you are likely to notice some of the side effects that can occur, and they often occur as headaches, insomnia, anxiety, depression, joint pain, digestive and chronic problems. Fatigue is just one of the many ways your body can be telling you that the body has lost the ability to maintain proper relationship between 2 vertebrae. This causes the body to work harder to compensate for the loss of relationship in your spinal column, not to mention that the central nervous system cannot perform its activity to the best of its ability. Your central nervous system controls every cell in your body, and if your spine is not able to support your central nervous system as it should, then many problems can arise. Here are some things you can do to keep your spine healthy. Let your spine rest while sleeping. Sleep is one refreshing activity that we all look forward to, and understandably it should be enjoyed with heedless pleasure. However, observing simple best posture rules will make sleeping more refreshing and devoid of any possible damages to the spine. The best sleeping position is sideways. Sleeping on your side reduces upper airway collapse, helping to prevent sleep apnea symptoms and give you a better night’s rest. Exercise your core to strengthen abs and back muscles. Simple exercises that are easy on the spine but build the core strength and back muscles gradually are the type exercises you should practice. Example, front walkout, back walkout, reverse crunch, reserve extension. Your shoes need to support your spine. The fitting of your footwear determines the comfort you experience while walking in them and that influences your posture. You should always wear shoes that fit your feet properly; therefore; offer the best comfort. Practice good ergonomics while sitting. Just like having a proper form for sleeping there is an appropriate posture for sitting to prevent any adverse effects on the spine. A good posture involves training your body to stand, walk, sit and lie down in positions where the least tension is exerted on the supporting muscles and ligaments during movement or weight-bearing activities. A good sitting posture means that your shoulders are relaxed, that your feet are resting on the ground and that you can stand up straight to do your job. By performing these exercises and paying attention to your body’s posture, the spine suffers less, and you can live a healthier life. However, it is imperative to have a Neurospinologic check to keep our spine healthy and fit. Do your well-being a favor and consider seeing a Neurospinologist on a regular basis to get the ball rolling on the path to a healthier lifestyle.